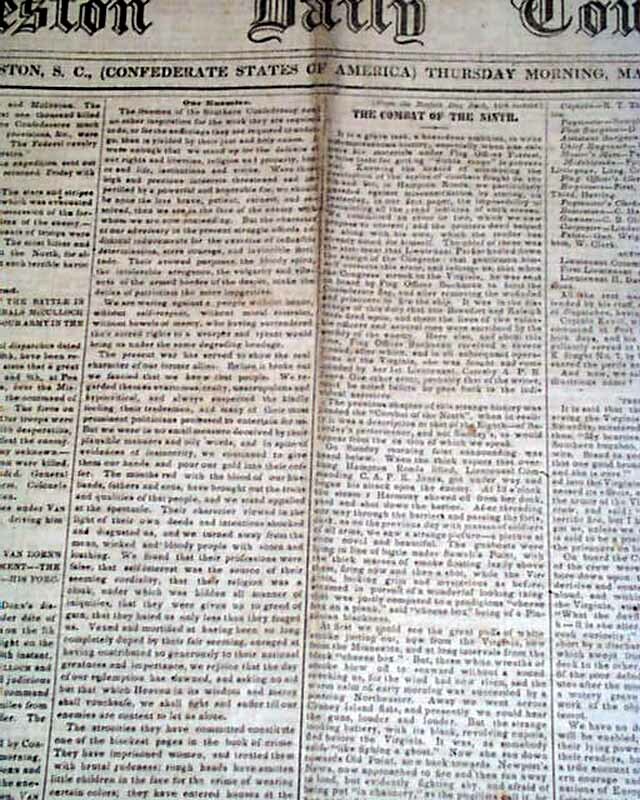 CHARLESTON DAILY COURIER, South Carolina, March 13, 1862 This was one of just a few newspapers from the South which printed: "Confederate States of America" in the dateline. Among the ftpg. 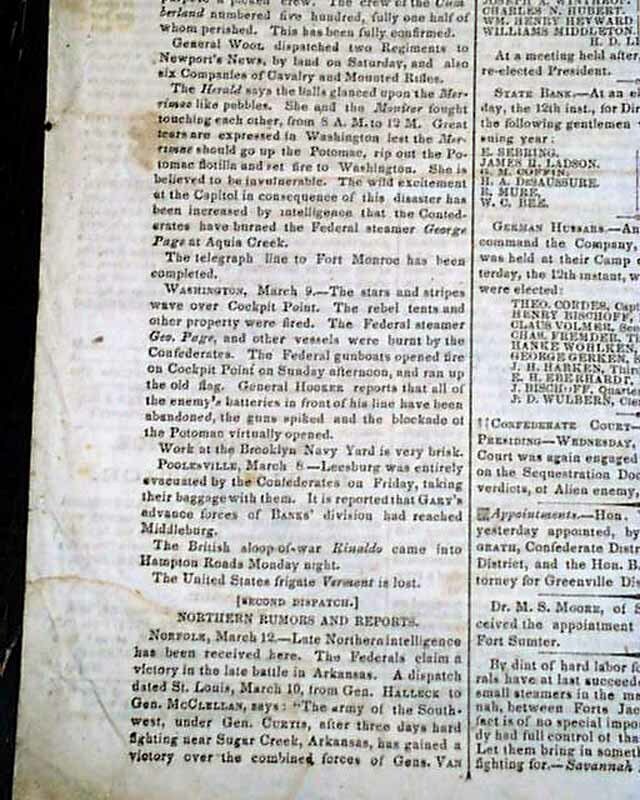 reports are two which related to the famous battle of the Monitor & Merrimac. 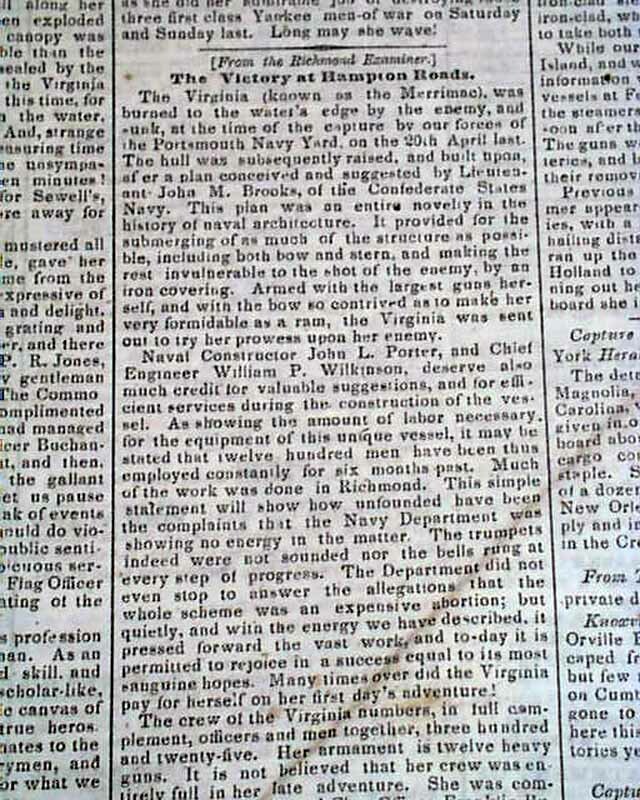 One, headed: "The Victory at Hampton Roads", deals more with how the Merrimac was constructed, with much interesting detail. 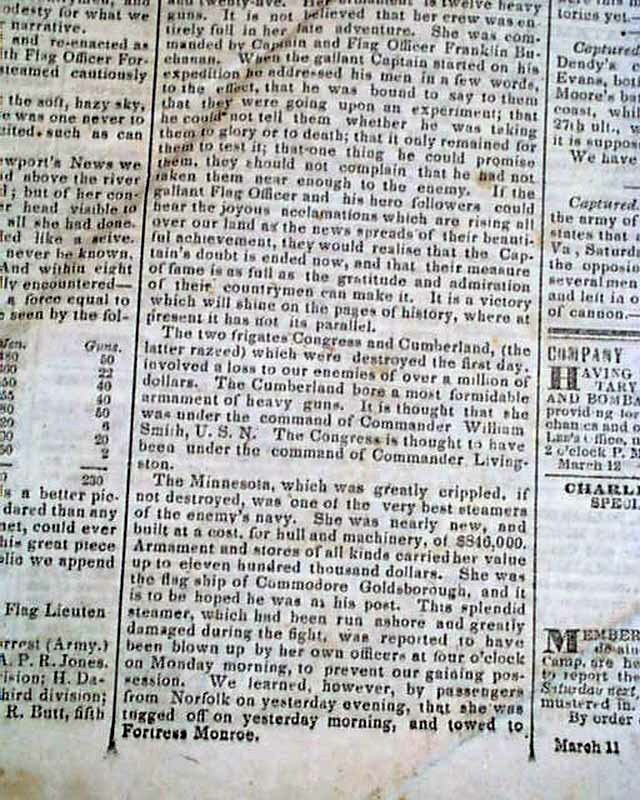 It continues retelling its success against other Northern ships. 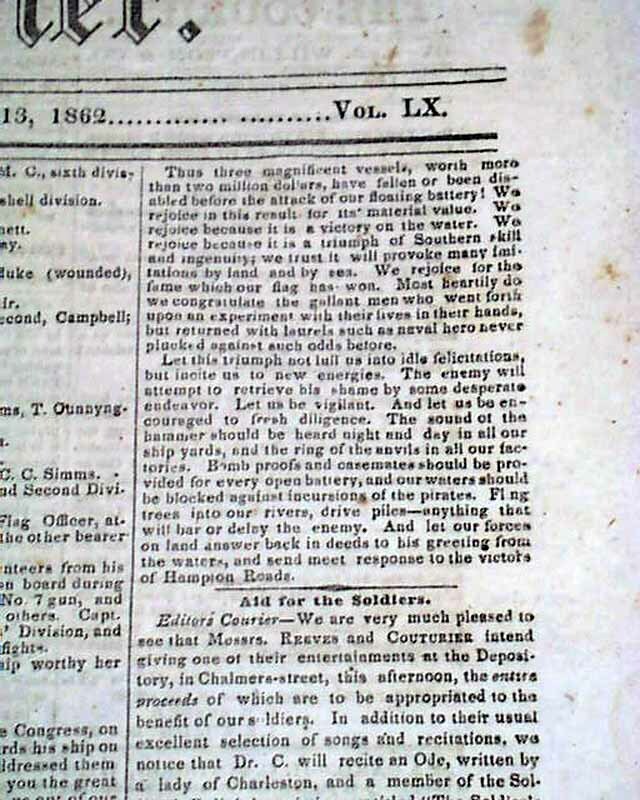 The other article: "Northern Accounts of the Great Naval Battle--The Herald Claims a Victory (?) For the Ericsson". 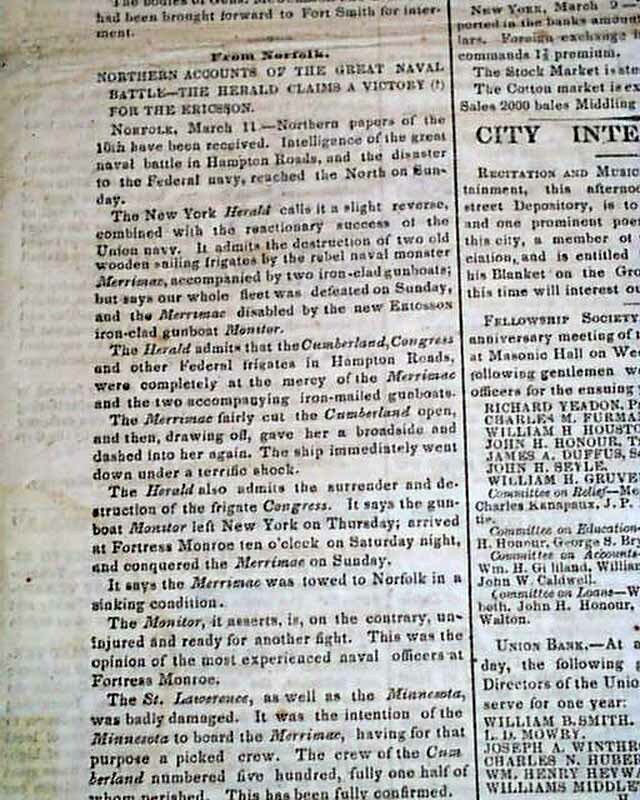 This article reports from the Northern accounts of the encounter between the Monitor and Merrimac, doubting many of the claims (see). 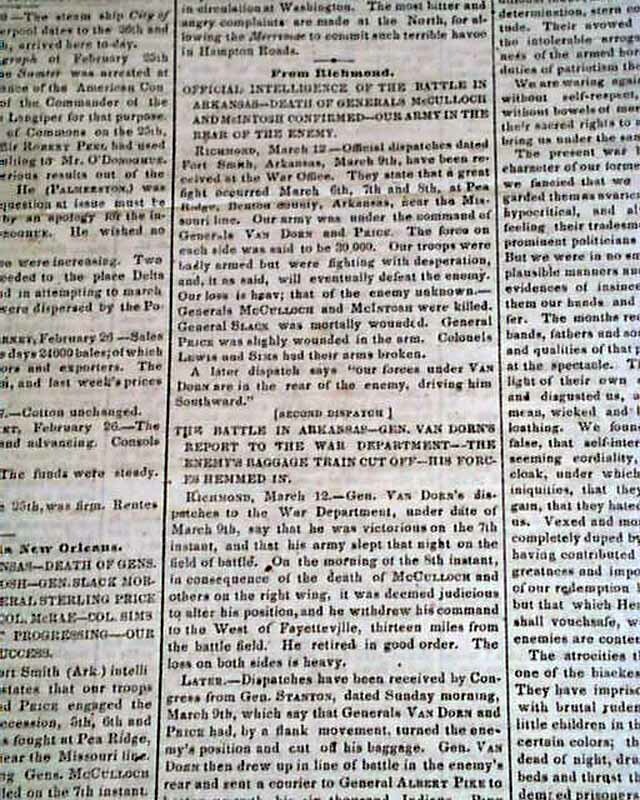 Various other war-related accounts as well. 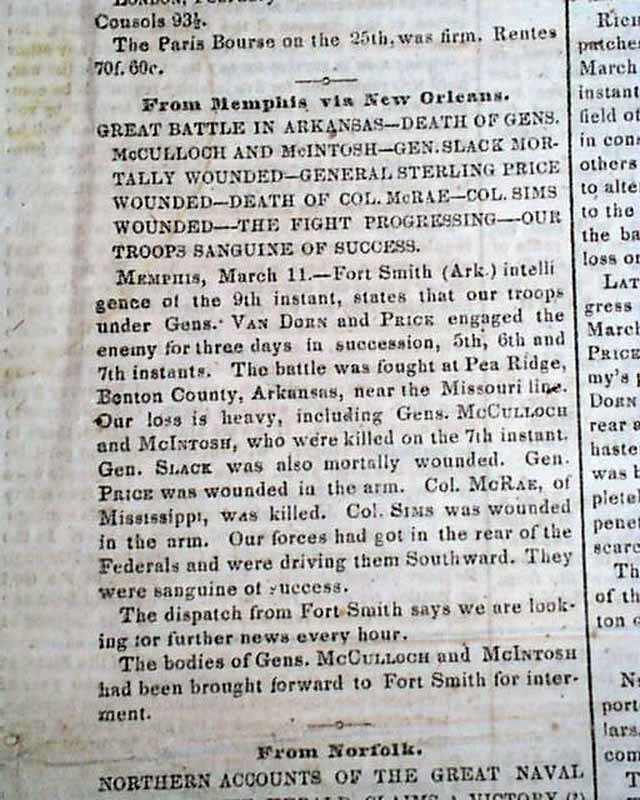 Great to have these reports in a Confederate newspaper. 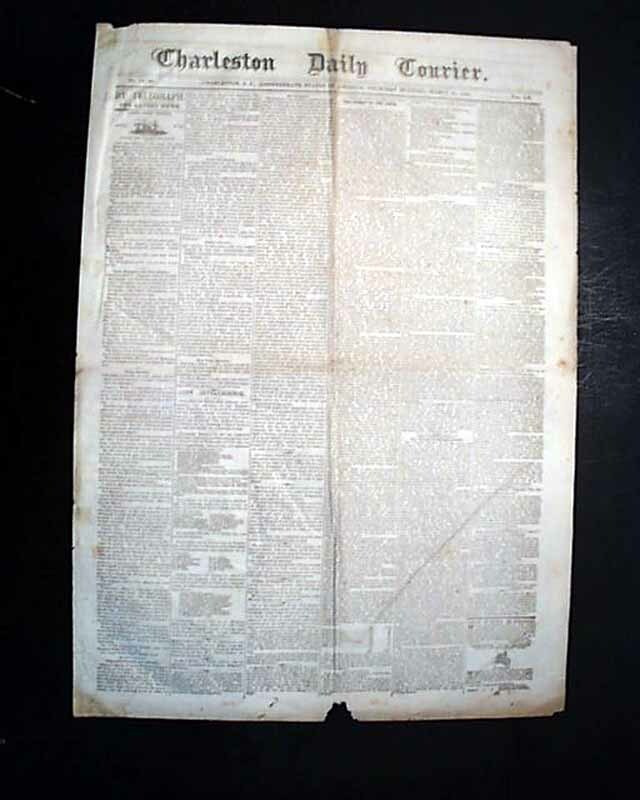 Four pages, never bound nor trimmed, some fold foxing, small bit from the bottom margin does not touch text.